Winner of the 2012 Boardman Tasker Prize for Mountain Literature. I was aware that I was cold beyond cold. I was a lump of meat left for too long in a freezer, a body trapped beneath the ice, sinking down into the dark. I was freezing to death. In this brilliant sequel to his award-winning debut Psychovertical, mountaineering stand-up Andy Kirkpatrick has achieved his life s ambition to become one of the world s leading climbers. Pushing himself to new extremes, he embarks on his toughest climbs yet on big walls in the Alps and Patagonia in the depths of winter. Kirkpatrick has more success, but the savagery and danger of these encounters comes at huge personal cost. Questioning his commitment to his chosen craft, Kirkpatrick is torn between family life and the dangerous path he has chosen. 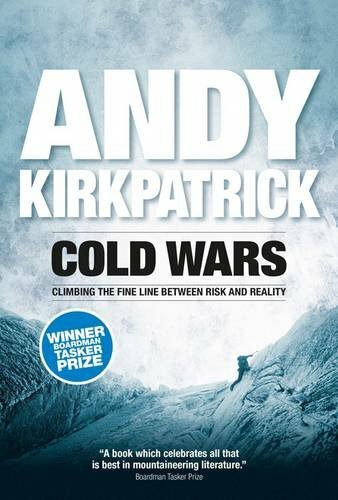 Written with his trademark wit and honesty, Cold Wars is a gripping account of modern adventure.